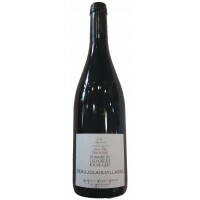 Beaujolais There are 10 products. Clothed in a deep garnet robe, it gives off intense aromas of black currant and raspberry. These aromas form a whole with the full mouth, this is a harmonious combination of terroir and limestone which impart finesse. Notes of fresh raspberry on the nose. Lovely fruitiness on the palate with a crunchy feel, flesh and volume. Maturing: there is no addition of sulphur during vat maturing. The wine is the racked (drawn from the vat) with no aeration and bottled with no use of sulphur. Closure is with an organic cork. This Fleurie (vines on pink granite) is made with eight to ten days maceration. A lovely nose of violets greets you, whilst in the mouth pure finesse and suppleness. This would flow throughout the meal with bird of any feather- roast partridge stuffed with herbs might be one choice. Floral aromas, including iris, violet, and rose, coupled with fruit. Finesse and balance. Well-fleshed and silky. Elegance and purity. Warm structure with red fruit aromas. A delightful ensemble with character. 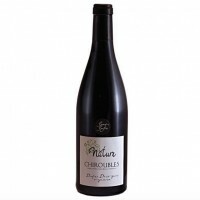 It is a wonderful, savoury wine, packed with layers of sweet cherry, dark fruit and berries enveloped in a firm, imposing structure.